So after visiting with family - it was time to get back to geocaching!!! we actually delayed the start of our trip by one day due to weather. for the first day but was moved to the end of the trip. But first we have to get across Tennessee! to find just over 20 of them. grab a couple of LPC caches and call it a day. 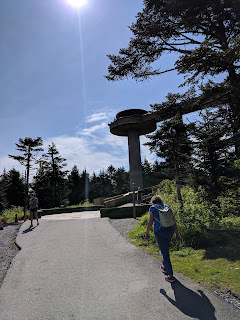 The agenda for the day is Clingman's Dome - plain and simple. 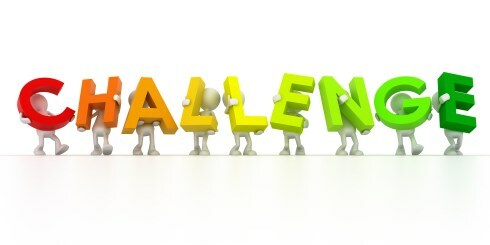 Anything we get after that is an extra!!! 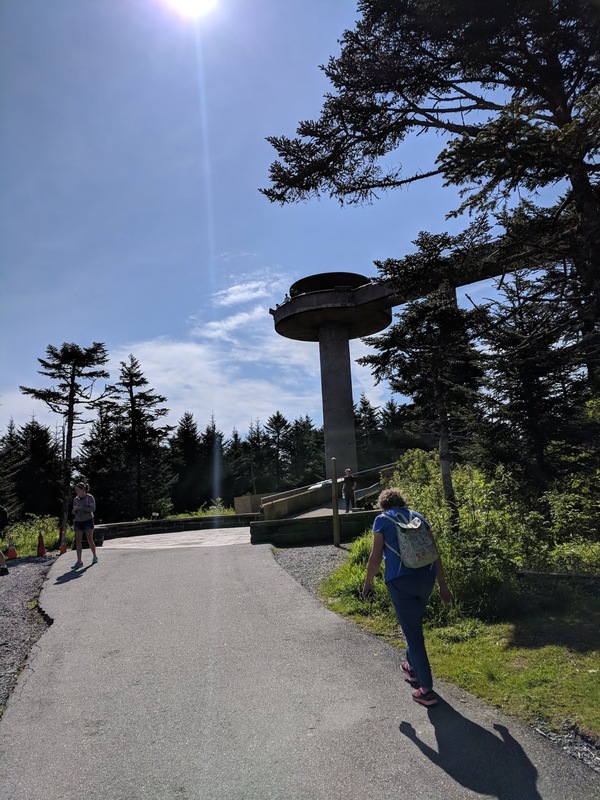 climb to the top of the Smokies! 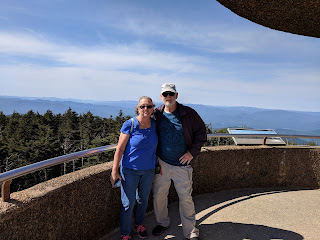 It took some time, but we drove the switchbacks all the way to the top!! the half mile trek to the top!!! anxious to make it back home!!! The main agenda for the day was yo get HOME!!! 20 days on the road is more than enough for us!!! After the terrific day we had yesterday at the "Top of the Smokies"
we considered the trip to be a huge success!!! We did stop for just one more cache!!! to grab it! Well, today is the day!!! Just wish we had geospillz stamina!! !